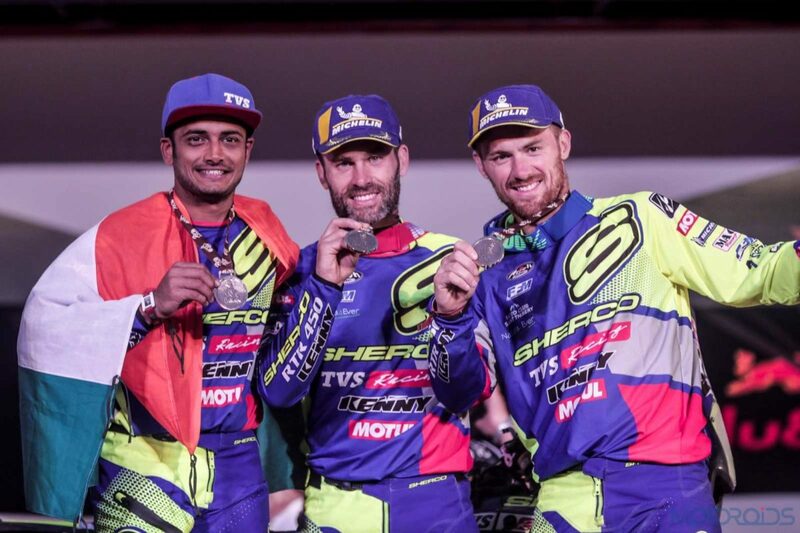 After Michael Metge won stage 9 for the Sherco TVS Rally Factory team, it was another day of joy for the Men in Yellow and Blue. 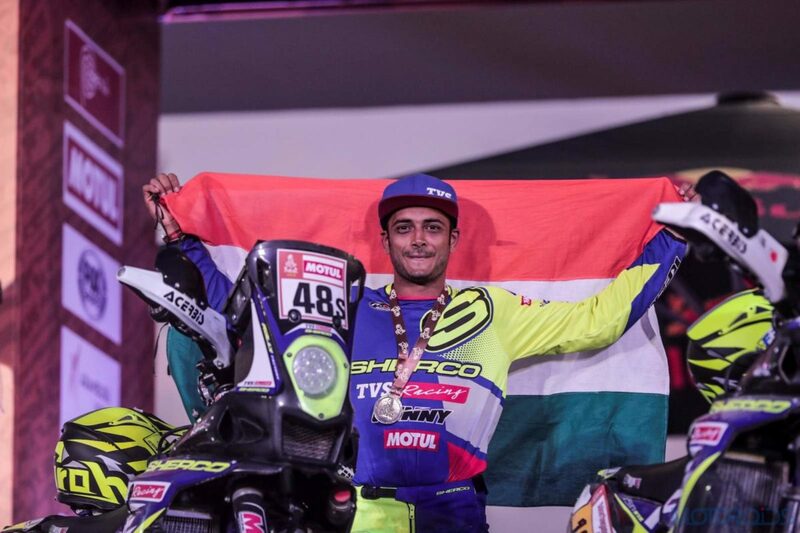 Their steady racehorse – Aravind KP successfully completed the 2019 edition of Dakar. This was KP’s third appearance at the Dakar and this successful attempt to finish the gruesome rally has brought glory to the team, the country, and motorsport fans across India. The 2019 event has been touted as one of the toughest editions in the history of the Dakar Rally, where only 55% of the bikes completed the event this year. The 11-day rally saw riders battle with fesh-fesh, sand dunes, beaches and rocks with complex navigation at every stage. 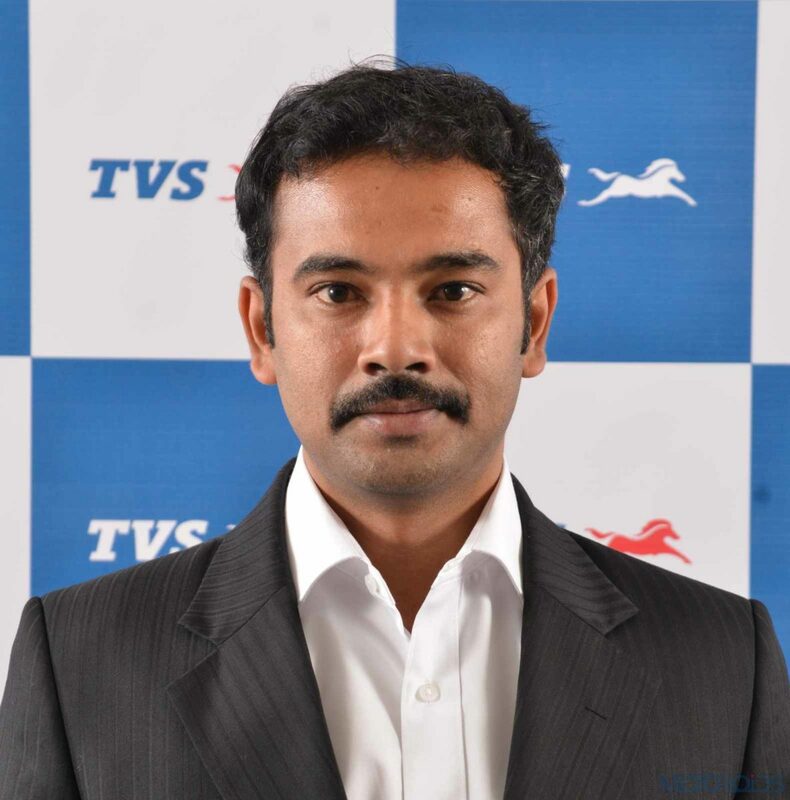 After a steady start in the early stages, Aravind KP picked up his pace in the second half of the rally and climbed up the rankings. Despite a few crashes during the intermediate stages, he fought hard and got to the finish line. 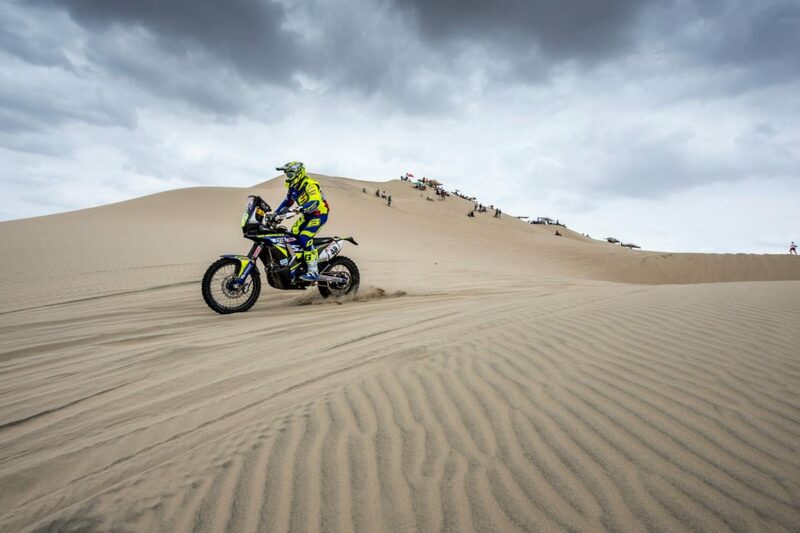 KP faced a tricky situation in the penultimate stage of Dakar when his bike broke down in the sand dunes. He sought help from some spectators and reached the finish line defying all odds. “KP’s teammates – Michael Metge and Adrien Metge finished the rally at the 25th and 22nd positions respectively. Michael had a good start at the rally but had a setback on the second day due to fuel outage. He picked up the pace in the next stages and broke into top 15 in the third stage. On the other hand, his brother Adrien strived hard and picked up the pace in the first two stages but an unfortunate fall in the third stage left him with a sore wrist. His bike fell in the seventh stage and the navigation system got damaged but he continued his journey to finish the rally. 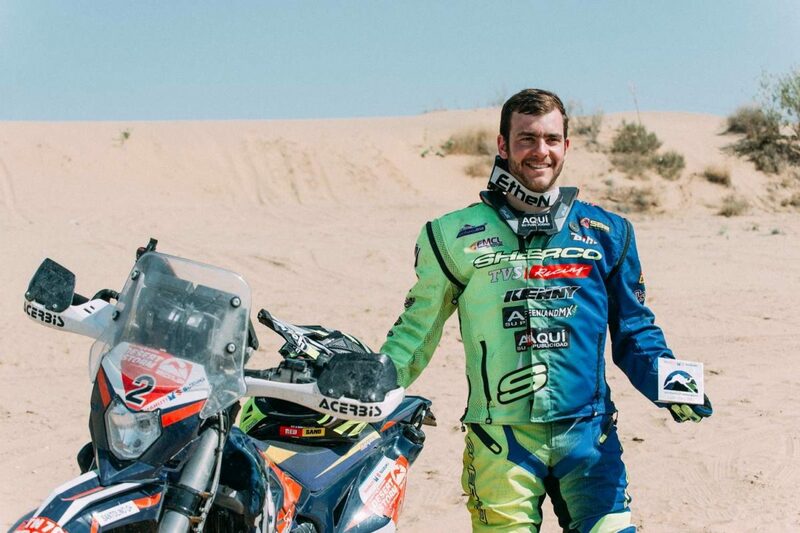 A Dakar rookie – Lorenzo Santolino was the fastest rider of the team this year and broke into top 10 in the third stage. Unfortunately, he had to exit the rally in the sixth stage due to a heavy crash. He is currently recovering from his injuries and will soon be preparing for next year’s race.